Two weeks after Romania took over, for the first time, the Presidency of the Council of the EU, Prime Minister Viorica Dancila went to Strasbourg, to present the priorities of Romania’s six-month term. Brexit and negotiations over the 2021-2027 EU budget are among the most complicated files that Romania will have to manage in the coming period. In all, 257 files will be debated in the first months, as elections for the European Parliament are due in May. 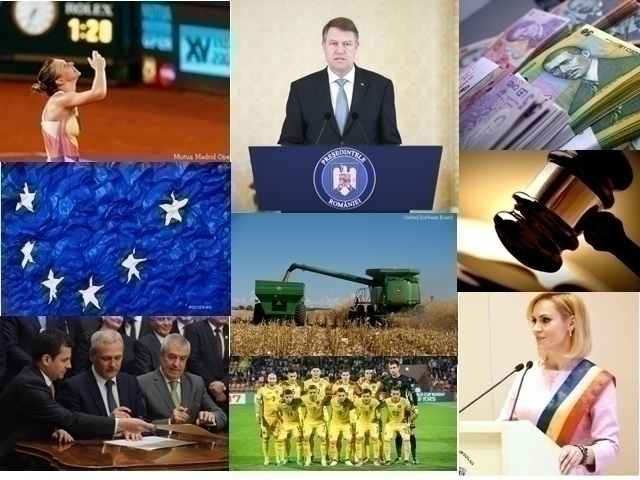 Governance of the Energy Union, a coherent management of migration, through cooperation between the origin and the transit countries, as well as enhancing the responsibilities of the European Public Prosecutor’s Office are among the priorities of the Romanian term, alongside more attention to be paid to the Western Balkans. This week, the Romanian Presidency of the EU Council has concluded its first file, regarding the protection of personal data. The new rules provide for fines applied in case of abusive use, by political parties, of personal data, with the aim of influencing voters’ behaviour. The Romanian Government hopes that London will soon come up with concrete solutions, so that Britain’s withdrawal from the EU will not affect either citizens or the business environment. Bucharest believes that a deal would provide a solid legal foundation, which would contain the negative effects generated by Brexit. Due to take effect on March 29th, Britain’s exit would take place during the Romanian Presidency of the Council of the EU. Romania’s President Klaus Iohannis has stated that British Parliament’s decision on the Brexit deal is regrettable, also stressing that the procedures that might still lead to the approval of a deal have not been exhausted. More than 400,000 Romanians are living in the UK, forming the largest community of foreigners in that country. After the defeat sustained on Tuesday by the British PM Theresa May in the House of Commons, which rejected the Brexit deal, negotiated with the EU, the Conservative Cabinet survived on Wednesday night a no-confidence motion filed by the Labour opposition, and, on Monday, Theresa May is to present a new plan, which will be debated and voted upon, on January 29th. Pope Francis will make a 3-day apostolic visit to Romania from 31st March to 2nd June, at the invitation of president Klaus Iohannis and the Catholic Church in this country, official sources from Bucharest and the Vatican have announced. Under the motto “Let’s Walk Together”, the Pontiff will travel to the capital Bucharest, Iasi, the biggest city in the east of the country and home to a sizeable Roman-Catholic community, Blaj, in the centre, the spiritual capital of the Romanian Greek-Catholics, and the Marian shrine in Sumuleu Ciuc, in the centre, in an area with a majority ethnic Hungarian population. The Pope has always urged for the rejection of egoism and for the centrality of the common good. He comes to Romania to foster unity and confirm the faith, according to the press office of the Holy See. In 1999, Romania became the first majority Orthodox country in history to receive the visit of a pope. On the 15th of January, the birth date of Romania’s greatest poet Mihai Eminescu, National Culture Day was celebrated in Romania. This is the 9th consecutive year that the Romanian Academy, the Writers’ Union and the local and central authorities staged numerous events in Romania and the European capitals. A festive event was held at the Romanian Athenaeum attended by president Klaus Iohannis, academics, the Patriarch of the Romanian Orthodox Church and the education and culture ministers. The president of the Romanian Academy Ioan-Aurel Pop said in his address that there are several fundamental characteristics that belong to the Romanian national culture. Thus, the national culture can only be conceived of in its world and European context. It also has a historical dimension without which it cannot exist. The head of state recalled that 2019 is the year of the Romanian-French cultural season, of the George Enescu Festival and the Europalia Festival, all of which are opportunities to promote Romania as a place of artistic achievement. In a separate event, the Romanian Academy has launched an app that allows access to the entire work of Mihai Eminescu and which is available free of charge to smart phone users.